Reinstalling is very good for fixing some problems with the application and it is also good for fixing bugs. We have provided steps for reinstalling many of instant messengers before such as WeChat, WhatsApp… Now we are going to provide information for you how to reinstall Viber on Android and iOS devices. We recommend you to follow our guidelines below for proper reinstalling process. What is Reinstalling? What is it Good for? Close Viber on your phone. Tap and hold on Viber icon at the main screen of iPhone. Tap x button to uninstall viber. Install Viber from App Store and complete reinstall. Kill Viber on your Android phone. Go Settings > Apps > Viber > Force Stop > Data and Storage > Clear Cache and Data > Go back > Tap Uninstall. Install application from Play Store and complete re-installation. This is a little bit longer than iOS devices right? It is because you can clear cache and data from apps while you are reinstalling them on iOS devices. However you should do these actions on Android devices because you can only delete them manually? File conflicts with other applications. Freezing at video calls and voice calls. These are the most known problems which you can fix with reinstalling. 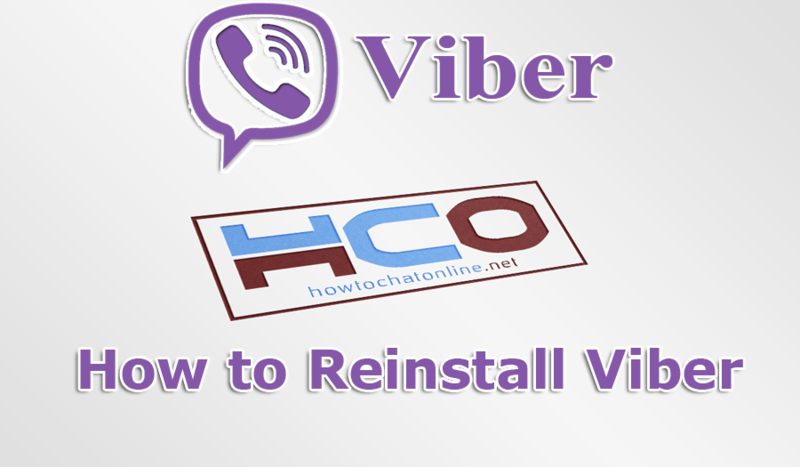 However there can be other steps you should do while you are reinstalling Viber. Such as if you are having file conflict problem, you will need to find out the other application which causes this error. This generally occurs because of other instant messaging apps. Important note: Please don’t forget to backup Viber if you have important conversations on the application. You can use our tutorial on How to Chat Online if you don’t know how to backup the application. If you have any questions regarding how to reinstall Viber, please feel free to ask us. Yes, you can reinstall it for this purpose. I can’t guarantee it but it is highly likely that your problem will be resolved. hello. I wanted to use Viber recently. Everything was good. Then I update it. I was talking to someone from another country. Somehow I am not getting any notifications now. Reinstalling Viber can help this situation? Can you assist me?